Ah, tis the season. The air is starting to cool down a smidge, the sound of school buses rumbling around, the harvest is starting... and I'm behind in my blogging! I've been so focused on preparing my client's images that I've neglected to actually share their long awaited sneak peeks! Here I am about to send about Rachel & David's finished gallery to them tonight and I haven't shared much of what is in store for them. About time, right? Thinking back on Rachel & David's nautically inspired wedding just shy of three weeks ago, a smile instantly comes over my face. And how could it not with a wedding this awesome and a couple this cool. 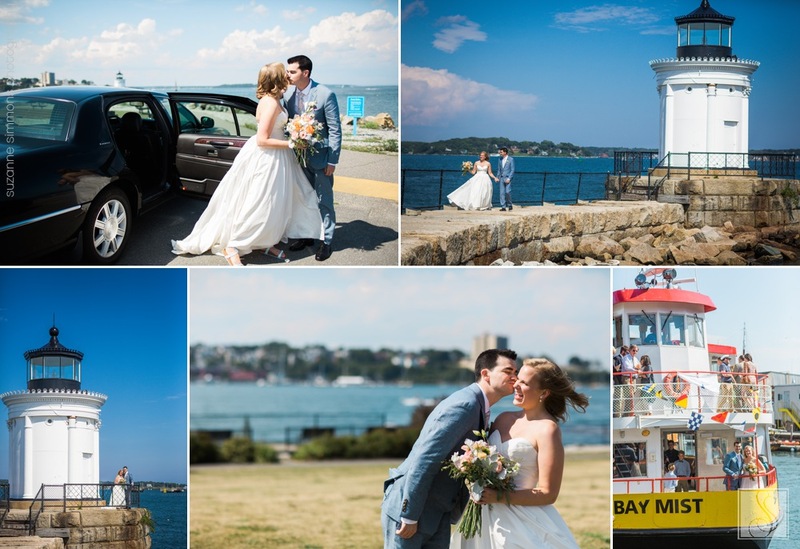 I knew that I wanted to be their photographer way back in September of 2015 when Rachel and I met for a cup of coffee and chatted about their day, how they met, and seemingly a wide range of topics beyond wedding preparations for well over an hour. Arriving for her bridal preparations on their wedding day was truly like meeting up with a long time friend. I love it when that happens! The entire day was a dream: Rachel's gorgeous taffeta gown (with pockets! ), David's custom necktie featuring the cartography of the area, their soft palatte of colors perfectly complimenting the seaside venues, their very personal wedding ceremony performed by David's father at St. Albans in Cape Elizabeth, the cruise around Casco Bay with Casco Bay Lines, watching the storm clouds sweep over Portland and magically split around Peaks Island, the absolutely jammed dance floor as they watched the sun set over the water... the list goes on and on. Rachel & David created the most magical day to start the next chapter of their lives together. 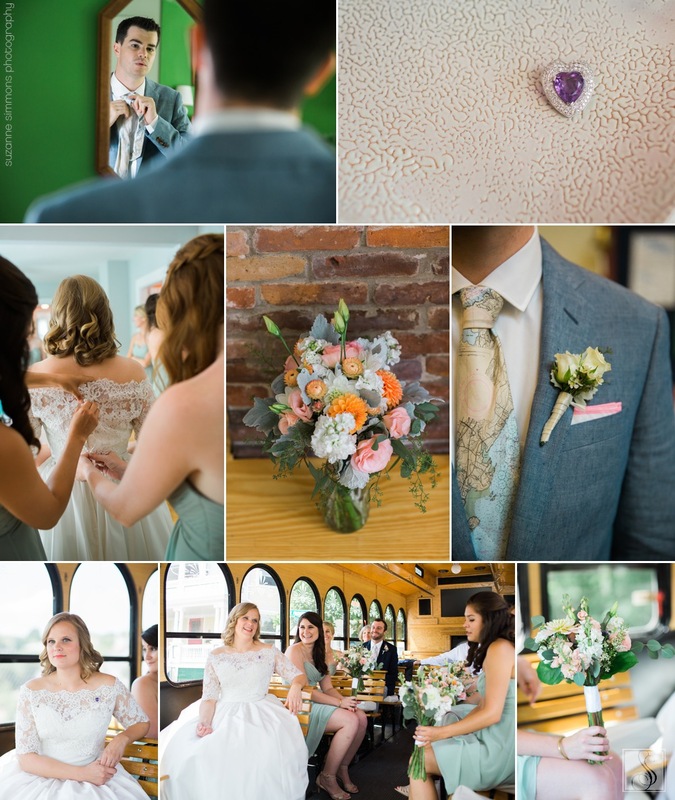 Narrowing down their finished gallery to a sneak peek was a feat all in itself because there are so many moments that I wanted to share. At the end of the night, as I watched Rachel & David cruise off into the night on their private cruise for two, I could not help but give out the happiest sigh with the biggest smile on my face. It was such an incredible day. Rachel & David, thank you so much for having Alan and me there with you to capture this milestone in your relationship together. It was an absolute honor and treat to be there with you and your family & friends. P.S. I think that every wedding needs a group like your helmsmen to make sure the ship runs so smoothly. Well done, gents! Caterer & Bakery: The Black Tie Co. Hair Stylist & Makeup: Portland Hair Co.